The excitement of getting a new pet never leaves me. Back when I had just tropical fish, cats and dogs in the 1980s, the group of rodents known as “guinea pigs” were not that popular because of their apparent association with common rats and mice. But when information technology came in, we learned so many fascinating things about them. Most popular now are hamsters, rabbits, and guinea pigs. When I first heard of guinea pigs, I got interested. But I couldn’t just jump into getting one because I had my hands full with my other pets. Time and money were major considerations. Two years ago, when my family and I passed by a popular pet shop inside a mall, my children Jamie and Aaron both became very eager to ask if they could have hamsters as pets. Now I had a reason to get one. This was also a chance for my children to start getting into my world of pets and to experience what it was like to have responsibilities. I asked them to do research so that we would have general information about the animals. 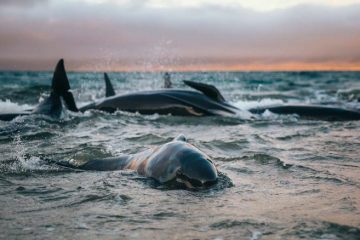 They joined Facebook groups, searched the internet, and asked pet shop staff members for added knowledge. I always knew buying from a pet shop would be a challenge because of quarantine and health issues. We decided to buy the basic needs such as food and enclosures then bought our first hamster. Sadly, after a few days, it died. On our next visit to the pet shop to buy another hamster, there was no more stock available. A cute little rodent seemed to be smiling at us; we felt we had to get her. It was an Abyssinian guinea pig. But after a few days, the same thing happened. The guinea pig died. I already had an idea of why it happened. The few days it was with us made an impact on us; we could see how wonderful these cavies are. Our family agreed to learn more about the breed before getting another. We then decided we were ready again to get not one but two cavies because we learned that they are sociable animals. My daughter Jamie searched online groups and did more research on the internet. She was able to contact a seller online. We purchased a Peruvian and a mixed breed sold as an alpaca. We called the Peruvian “Marshy” and the Alpaca “Mallows.” I checked on its breed and there was no clear guide for keeping such breed. She might be a mixture of an Abyssinian and a Texel, based on her features. • Buy only from reputable sellers or breeders.• They are very easy to feed; they enjoy commercial food and lots of vegetable salads which I enjoy making. • I recommend saluyot, malunggay leaves (including stalks) and alugbati, and the occasional banana leaves. Give them fresh water and most importantly, unlimited timothy and natural hay. • I also observed that if the hay is insufficient, they tend to nibble and pull out each other’s hair. 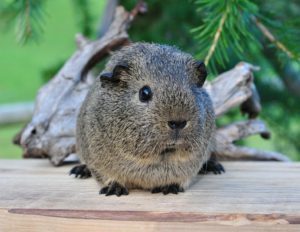 • If you intend to grow long haired guinea pigs, I recommend single cages for each; just ensure they can see each other so they won’t feel lonely. • They create squeaky cute sounds when they are hungry or happy. • They need gentle handling; they will even eat on your hands. • Give them occasional vitamin C drops. • They are great companions when you are working or watching TV since they stay in one place. Just pat them every now and then. They bring such joy to my family; my wife Suzie enjoys brushing their hair every day. As for me, I look forward in having an American, Sheltie, and Texel soon. They socialize well with my dogs, rabbit, and even my tortoise. They do not need a big space and they are clean pets. Guinea pigs are lovable and easy to take care of. 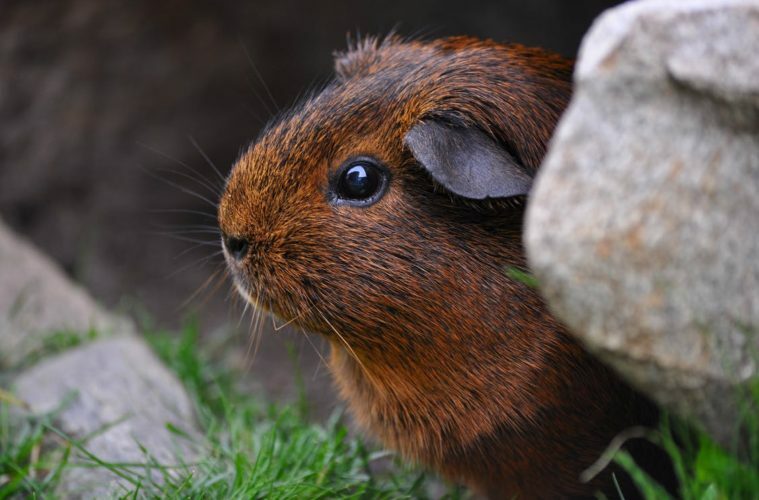 If you’re looking for a great pet companion with lots of charisma, the guinea pig is for you!